Binh: Back in August, Warner Bros. revealed no less than nine untitled DC movies in the pipeline and, on on an earnings call earlier this week, studio chief Kevin Tsujihara unveiled what those movies are, in addition to the Lego and Fantastic Beasts and Where to Find Them movies. No surprises here except who are playing characters like The Flash and Cyborg, right? Sara: Actually, I'm surprised by the sheer volume of Lego movies on the list. Ninjago and Batman were TV shows first, yeah? Are there others they're likely to add? Binh: Originally, they were only planning on two Lego movies, but since The Lego Movie was wildly successful, they're doing others. Will there be more than what's announced? In the words of Sarah Palin, you betcha! Sara: You might be scorning all Lego-based decisions with the name of Palin. Jeff: There's also the Chima line, which has a series of direct-to-video titles. The queer genius of these movies is that there's really no limit to what they can do, as long as they have the right voices. Sara: And writers. I mean, your favorite brilliant turn in the Lego Movies was a writerly one. Really it could be the next Hannah Barbera animation model--could you technically tell a thousand stories by re-cutting and re-voicing currently exiting footage? Jeff: I'm really just waiting for the grand CGI toy movie convergence. When do we get Lego Sea-Monkeys? Binh: I have a 10-year-old who is very much into Legos so I know more the various lines than I should, but yes, I feel these Lego movies are found money for the studio. It's the DC movies that I have concern about. Everything hinges on Batman v Superman and if that fails, they'll be scrambling like Sony. I don't expect the movie to fail, by the way. Jeff: I fully expect BvS to do fine. It's the other stuff I question. We're all on board with the notion that this is a huuuuuuuge bet on Warner Bros.' part, yes? I mean, if they can't manage to stitch together a widely successful Marvel-type universe here, the studio is going to have some major problems with that fat stack of DC flicks. The others seem like surer bets, I guess, but as reflections of Hollywood's unquenchable thirst for franchises, they're no less dispiriting. Sara: Why do you expect it to do well? Didn't we have a previous Download dedicated to mocking early pix of Batfleck? What changed? Jeff: Oh, just because I mock doesn't mean I think everyone else shares my opinion. Unless the worst pre-release buzz in history descends upon this production like a plague, there's no way it won't be a smash. Sara: I know what you mean--you can mock something and not necessarily wish it ill--but I think back to The Avengers. Remember when Samuel L. Jackson tried to have A.O. Scott fired for writing a tepid review in the NY Times? While I thought Scott's review was a kind of "shot almost heard around the world" I think of that review every time something of this magnitude arises. If other films hinge on the success of one, studios are fast (and afraid) enough to mitigate the risk--or just dilute it. I don't mean to rehash our previous discussions about the timidity of big money but I can't help thinking that the expected risk of Batman v Superman should be so much bigger than it is. We're too used to this stuff. Binh: Batman and Superman together is every fanboy's dream. Add Wonder Woman and others into the mix and you have something with potential. It’s the solo movies I’m concerned about, but if they can make those at a reasonable budget, they may work out too. What caught my eye is that Justice League is going to be broken up into two movies and Wonder Woman will come before the first part. Jeff: I just don't see Warners making any of these movies at anything less than blockbuster prices. They seem awfully fond of superhero movies that are supposed to feel BIG. Binh: Good point. Let’s hope they’ve learned something from their past missteps. Sara: Why is it surprising for Wonder Woman to precede Justice League? Binh: Wonder Woman and Gal Gadot are an unproven commodities. I can't give you a better explanation other than it's a gut feeling I have. Binh: At Marvel's end, they've just added Robert Downey Jr. to Captain America 3, which will kick off the "Civil War" storyline. They're not kidding around over there, are they? You think they would do some fillers to pad out the number of movies, but they're jumping right into the juicy stuff. With this, they’ve pretty much caught up with what's going on in the comics, right Jeff? Jeff: Oh, not even close. I think Civil War happened in...what, 2006? 2007? All kinds of stuff has gone down since then, and by the time they get around to following whatever threads they weave in the on-screen version, there will be another half-decade of storylines to adapt. Very crafty business model, if you can do it right...and they seem to be doing it right. Binh: I'm way behind then. You know, Spider-Man is also involved in this Civil War storyline, and there are rumors about Sony talking with Marvel. The plot thickens, eh? Jeff: He did indeed. I didn't read most of it, but I think he was kind of an angsty middle ground in the central conflict between Iron Man and Captain America. Binh: So, from Marvel's perspective, it's cool if Spider-Man is in it, but he's not central enough to the storyline to go through the hassle of negotiating with Sony. Got it! Jeff: Well, I think they've already shown a willingness to alter comics canon. I mean, Hank Pym is supposed to be Ultron's daddy, but he got retconned out for Avengers 2. All the story really needs is two groups of heroes going to war and a smaller subset torn between the two extremes. Comics stories are all about the archetype, right? One costumed hero is as good as any other, really. Binh: Right, because I'm sure most of the people who've watch the movies didn't read the comics, so they don’t have to be faithful the source material. Sara: All heroes are the same? It's like you guys forgot the hate you threw at Aquaman. Jeff: Aquaman is no hero. Binh: Yeah, what Jeff said. Another thing that jumps out in WB's announcement is Suicide Squad. What is it and why is it generating so much interest? The movie is coming out in 2016 with David Ayer directing. Word is, Will Smith, Tom Hardy, and Margot Robbie are circling. Is Suicide Squad DC’s answer to Marvel’s S.H.I.E.L.D? Jeff: I think it's more like DC's answer to the Sinister Six, although I was never really a DC kid, so I'm not 100 percent sure. Binh: Do you know if it's connected to Justice League storyline at all? It seems like it's just there to fill out a slot and is an one-off, unless it's wildly successful. Jeff: I guess they're supposed to be some sort of black ops government project that got its start in World War II. Perhaps this will be Warners' answer to the first Captain America, at least in terms of retro Saturday serial vibe? Binh: The black ops part is why I’m thinking S.H.I.E.L.D. Not sure how they're going to do it though. It’s one of those under the radar titles. Okay, time to move on. 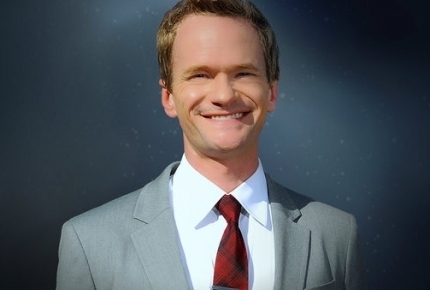 Doogie Howser, Mr. Neil Patrick Harris himself, is next in line to host the Oscars. Reactions? Jeff: OH GOD IT'S AWARDS SEASON AGAIN. Binh: It is, and we're out of rum! Jeff: I'll go to the liquor store. Don't wait up, I'll be back in April. Binh: Like you, I wish they announce the winners in advance and use the telecast to hand out the trophies. It would save everyone time. Seems like to be a host, one has to be at least 40 years old. Jeff: Makes sense. I mean, it's a job that's probably about as important as the President of the United States at this point, so they might as well need to be the same age. Sara: Dude--the lasts "Presidents" included Anne-go-away and James Franco. Binh: Oh right, I’ve forgotten about them. Sara: At this point the whole "reign of nothing" these hosts wield exists to be forgotten. If that's the agenda (and I presume it is) who better than Doogie Howser? Binh: Morgan Freeman? I really want to put the theory that people would watch him in anything to the test. Binh: I think you're on to something here, Jeff. Why not make every sitting president the host? Jeff: YES! Let's do it! Binh: Sounds like a plan. You are welcome, Craig Zadan and Neil Meron. Sara: You people have no respect for the office. Jeff: I have no respect for awards shows. And just to be clear, to quote my son, I willn't watch no matter who's handing out that silly hardware. Binh: The idea is to take the guess work of the process and make it a must-watch event at the same time. I think this arrangement satisfies both requirements. Jeff: I WOULD RATHER MUST WATCH MOVIES. Binh: Okay...so, no comments about NPH? Jeff: He's great. He's perfect for the gig. I just can't get over my distaste for awards shows in general. Binh: An endorsement from Jeff is better than winning an Oscar, so NPH is off to a good start. Let’s hope they don’t censor him toooo much. That’s it for this week. Until next time. Next: EOB Weekend Box Office Podcast 11-17-2014: "Dumber and Dumber To" Tops "Big Hero 6" and "Interstellar"